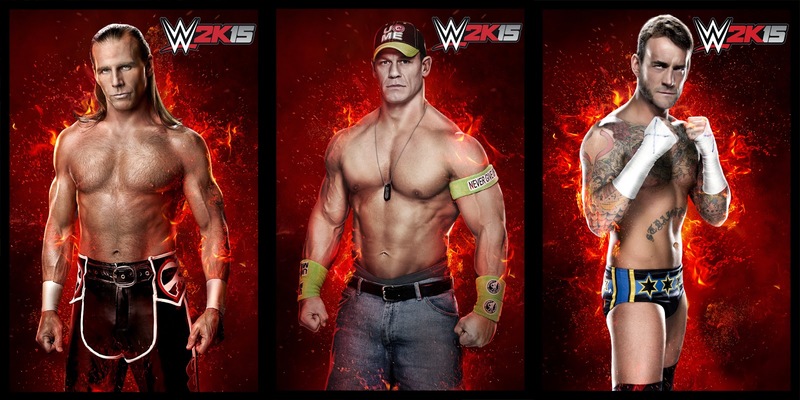 2K recently announced details of the 2K Showcase, the story-driven single-player campaign in WWE 2K15! Through high quality cinematics and historic WWE footage, players will intimately explore two notable WWE rivalries: the bitter rivalry between Triple H and Shawn Michaels from 2002 to 2004, as well as WWE 2K15 cover Superstar John Cena and CM Punk’s spirited rivalry spanning 2011 to 2013. 2K Showcase will tell the epic history of the two rivalries through documentary-style video packages of classic WWE footage, authentic WWE Superstar commentary and cinematic cut scenes. In the 33 available matches across the rivalries, players will be tasked with completing a set of bonus historical objectives that will unlock new WWE Superstars, Championship titles and alternate attire that can be used in all other WWE 2K15 game modes. With this wealth of unlockable content, players can recreate current rivalries or stage dream matchups between WWE Superstars of the past and present. Additional 2K Showcase rivalries will be made available via downloadable content following the game’s scheduled release on October 28, 2014 in North America and October 31, 2014 internationally. See new images and artwork below!